Hydrocephalus in premature infants is an onerous disease. In such situations, choosing the best option for cerebrospinal fluid (CSF) diversion is difficult. Ventriculosubgaleal shunt is an effective method of temporary CSF diversion in such situations. In this retrospective study, we compare the outcome of ventriculosubgaleal shunt in premature infants with hydrocephalus of infectious and noninfectious etiology. All premature children with hydrocephalus secondary to various etiologies who underwent ventriculosubgaleal shunt were studied. The participants were grouped into two depending upon the etiology of hydrocephalus: Group 1 (infectious) and Group 2 (non-infectious). The primary outcome was a successful conversion to ventriculoperitoneal shunt (VPS) and the secondary outcome was mortality. Data were entered into statistical software SPSS version 16 and appropriate statistical analysis was performed to conclude any statistical significance between groups. The study included 16 infants among whom 9 were in the infectious group and 7 in the non-infectious group. Primary end point of conversion to VPS was achieved in 55.5% of patients in group 1 and 85.7% in group 2. The secondary end point, i.e., mortality was observed in 44.4% of patients in group 1 and 14.2% in group 2. The average duration during which this was achieved was 40 days (range 20–60 days) in group 1 and 25 days (range 20–30 days) in group 2. Ventriculosubgaleal shunt is a safe and effective procedure in infants awaiting definitive VPS for hydrocephalus of infectious as well as noninfectious origin. There was no statistical difference in the rate of successful conversion to a permanent VPS from ventriculosubgaleal shunt in hydrocephalus of either etiologies. Complications and time for successful conversion were more in postmeningitic hydrocephalus. The management of hydrocephalus in premature infants is a conundrum. The etiologies in this age group vary from more common causes such as germinal matrix bleed, infections, and aqueductal stenosis, to less frequent cerebellar hematomas and tumors. Ventriculoperitoneal shunt (VPS) is the definitive management of hydrocephalus. However, cerebrospinal fluid (CSF) diversion by VPS is not always feasible in premature infants due to factors such as abnormal liquor characteristics, unfavorable abdominal status, or local/systemic infections. Hence, some patients need temporary alternative while awaiting conditions that favor long-term shunt patency. CSF diversion in the form of ventriculosubgaleal shunts (VSGSs) has been described for various etiologies ranging from tumors to infections. VSGS have been recommended as a more physiologic and less invasive method of relieving intraventricular pressure with reasonably low morbidity., Our aim was to study the outcome of VSGS in treatment of preterm infants with postinfectious hydrocephalus and those with hydrocephalus due to other causes. A retrospective review of patient’s records was carried out at our tertiary center during the period January 2012 to January 2015. This study was carried out after obtaining appropriate clearance from the institutional review board. All patients who underwent VSGS in our institution in the aforementioned period were included in the study. On the basis of the data collected, study participants were divided in two groups—group 1(postinfectious hydrocephalus) and group 2 (noninfectious hydrocephalus). The diagnosis of postinfectious hydrocephalus was made when there was a positive CSF culture for bacteria or CSF findings suggestive of infection in the clinical background of meningitis. Group 2 included patients who presented with hydrocephalus due to noninfectious etiology viz. germinal matrix bleed, aqueductal stenosis, and cerebellar hematomas. Both groups also included patients who underwent secondary VSGS after failure of VPS performed at different institutions. The primary causes of hydrocephalus seen in these patients were of both infectious and noninfectious origin. Patients who died before the procedure were excluded from the study. Patients in whom the VSGS was not converted to VPS due to lack of consent were also excluded from the analysis of primary outcome. The primary outcome of the study was good outcome, which was defined as successful conversion to VPS, and secondary end point was bad outcome defined as mortality. The principal characteristics studied were age at presentation, birth weight, weight at the time of surgery (VSGS), complications of surgery, weight at conversion to VPS, time to conversion to VPS, and outcome. Fisher’s exact test was used to determine the significance of association between etiology (infectious vs. noninfectious) and outcome, i.e., conversion to VPS or death. Mann–Whitney U test was employed to analyze whether the time duration of conversion to VPS in both groups was statistically significant. 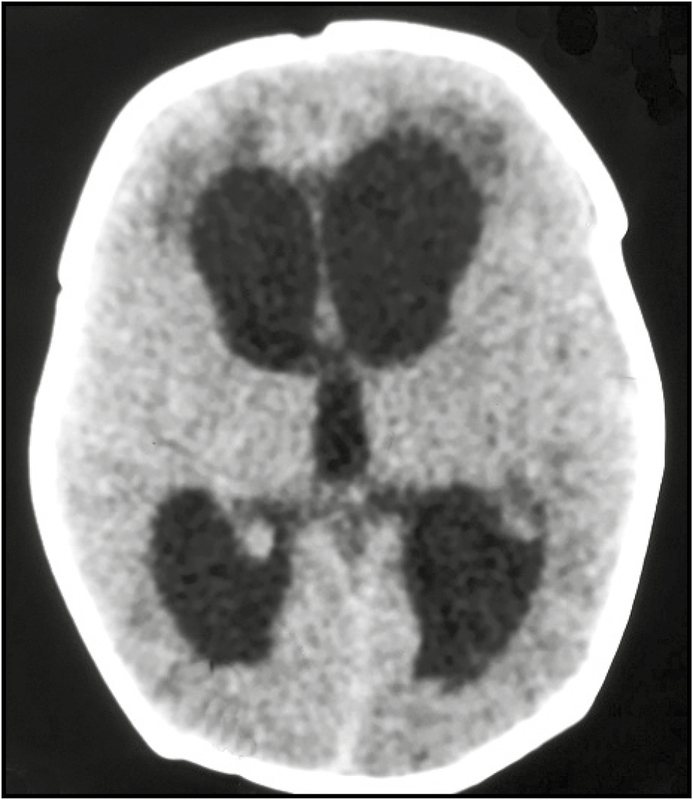 The illustrated case shows postmeningitic hydrocephalus in a preterm infant [Figure 1] whose CSF protein level was 2 gm/L. The lateral end of the fontanelle is the preferred site for the ventricular end of VSGS insertion. A curvilinear incision is made at the lateral end of the anterior fontanelle [Figure 2]A]. After raising the skin flap, a generous pouch of size 10×10cm is created occupying the temporal and parieto-occipital region of the scalp [[Figure 2]B and C]. The lateral end of the fontanelle is punctured with the ventricular end of the catheter, which is further advanced into the lateral ventricle. After collecting CSF for analysis, the tube is connected to a connecter which is anchored in place by suturing it to the periosteum [[Figure 2]D]. A slit peritoneal end of the medium pressure Chhabra Ventriculoperitoneal shunt is connected to the connector and allowed to be drained in the newly created subgaleal pouch [[Figure 2]E and F]. The incision is closed in layers. An illustrative case of a successful VSGS procedure is shown in [Figure 3] followed by [Figure 4] which shows the child after successful conversion of VSGS into VPS. There were total 16 patients who underwent VSGS during the defined period. There were 6 male and 10 female patients. All patients were born preterm. The mean birth weight of the patients was 1.78kg (range from 0.9 to 2.5kg). The mean birth weight in infants of group 1 was 1.84kg and in group 2 was 1.78kg. All patients were primarily seen in the pediatric emergency and were referred to us after a diagnosis of hydrocephalus was established. Depending on the etiology, the patients were grouped into infectious and noninfectious groups. There were nine patients in group 1(infectious group) and seven patients in group 2 (noninfectious group). There were six patients in this study who underwent a VPS from other institutions and presented with secondary shunt malfunctions. The primary etiologies for hydrocephalus in them were aqueductal stenosis in two, germinal matrix hemorrhage in two, and postmeningitic hydrocephalus in two. Hence, these patients contributed to four patients in group 1 and two patients in group 2. The other etiologies in the group 2 were composed of cerebellar hematoma associated with hydrocephalus and Chiari type 2 malformation associated hydrocephalus. The patient and CSF characteristics in both the groups are summarized in [Table 1] and [Table 2]. The CSF protein in all cases was >500 mg%, which was unfavorable for VPS. The mean protein concentration in group 1 was 867.4mg/dL and 569.7mg/dL in group 2. The average age of the patients in group 1 was 4.1 months (range 1–8 months), and in group 2, it was 5 months (range 2–12 months). All patients in either group underwent VSGS in the manner described earlier. All patients were followed up for improvements in the CSF parameters and body weight. The primary objective of conversion to VPS was achieved in all but one patient with aqueductal stenosis in group 2. The parents of the infant were not willing for any further procedure. This one patient remained asymptomatic as long as 24 months after VSGS and hence was excluded from further analysis. Primary end point of conversion to VPS was achieved in 55.5% of group 1 and 85.7% of group 2 (Fisher’s exact). This outcome was found to be statistically nonsignificant. The average duration during which this was achieved was 40 days (range 20–60 days) in group 1. Excluding one patient, the average duration of conversion in group 2 was 25 days (range 20–30 days). The average weight at conversion to VPS in group 1 was 4.01kg and in group 2 was 4.39kg. The secondary end point, i.e., mortality occurred in 44.4% of group 1 and 14.2% of group 2. Complications occurred in both groups. They were in the form of scalp infections, scalp tissue breakdown, CSF leak and subcutaneous pyoceles, pouch collapse, and bone remodeling under the subcutaneous pouch. Sterile CSF leaks were sutured and gross subcutaneous infection prompted a VSGS on the opposite side. Overall complication in this study was 37.5%. The rate of complication in each group was 44.4% (group 1) vs. 28.7% (group 2). This difference was not found to be significant on statistical analysis. Two patients in group 1 underwent bilateral VSGS and one among them was subjected to external ventricular drain (EVD). Minor complications were scalp infection with sterile CSF, and local tissue breakdown was encountered more frequently in group 1. An important complication of failure of VSG was pouch collapse. This is due to nursing the child on the side of the pouch in the immediate postoperative period. This complication may prompt the surgeon to repeat the surgery, but we think it is hardly necessary. We have found a novel technique by which we move the catheter along the subcutaneous plain from outside in an attempt to redissect the collapsed pouch. The immature adhesions of the subcutaneous plain usually yield to the stout distal end of the peritoneal catheter. However, this technique fails if this is performed after the subcutaneous adhesions have already matured and pouch has irreversibly collapsed. Bone remodeling under the tense CSF subgaleal pouch is another complication that we encountered in one patient. This complication was less evident on follow-up due to the skull expansion with growth. The management of hydrocephalus in prematurity is a conundrum. The ultimate goal of permanent drainage of CSF is not often achieved owing to low birth weight or liquor characteristics. This has led investigators to look for other alternate procedures such as placement of EVD, ventricular access devices (VADs),, such as Ommaya and Rickham’s reservoir and repeated lumbar puncture, for the relief of hydrocephalus. VSGS is another feasible alternative considered in this particular scenario because of it being more physiologic than other forms of CSF diversions. VSGS acts by absorbing the CSF through the skin of hemicranium, face, and eyelid in the short term and also through the subgaleal pouch. It also protects the brain by dampening the intermittent peaks of the intracranial pressure (ICP) that occurs in hydrocephalus. VSGS procedure has an added advantage of not altering electrolyte and nutrition losses that are inherent to other forms of CSF diversion. It also offers theoretical advantage of back pressure offered by the subgaleal pouch, which can accentuate the natural CSF absorptive mechanisms. Although known for more than 100 years, VSGS procedure is observed to be employed at a much less rate compared with the others. It is known that repeated ventricular taps and lumbar punctures in premature newborns can control the rise of ICP but has the disadvantage of increasing the risk of infection and meningitis. Similarly, EVD systems expose the intraventricular environment to the exterior, consequently predispose to infection. In a meta-analysis of literature, Badhiwala et al. found lower rates of infection in VSGS compared to EVD and VADs. The EVD systems also carry the risk of inadvertent over drainage if not closely monitored. Moreover, it is associated with loss of protein and electrolytes, which may be detrimental in already fragile children. The VSGS is similar to VADs (implanted reservoirs) that it is a closed system within the body. The CSF pouch can be used to monitor the CSF characteristics by aspirating the subcutaneous reservoir. But this is not without risk as repeated punctures can damage the fragile skin and subcutaneous tissue of premature infants, leading to breakdown and erosion with added risk of infection., Performing VPS at an early period in premature infants with post hemorrhagic hydrocephalus was associated with increased rates of shunt infection as well as malfunction. Taylor and Peter published a series of 36 cases in 2001 and advocated that VPS should be performed late on premature infants because of the need for clearance of ventricle from blood products, which takes at least 5 weeks. Our study was composed of patients who were preterm with comparable average birth weight of 1.84kg in group 1 and 1.78kg in group 2. Average age of presentation was 4.1 months and 5 months, respectively. We found that mortality was more in group 1 patients (44.4%) as compared to group 2 patients (14.2%). The mortality in group 1 was primarily due to disease progression leading to uncontrolled infection and septicemia. The mortality in group 2 occurred in one patient with cerebellar hemorrhage in whom surgery was contemplated but had a cardiac arrest succumbing to death. Remaining patients who survived in both the groups were converted to VPS within a duration of 2–2.5 months of VSGS amounting to conversion rate of 55.5% (5/9) in group 1 and 85.7% (6/7) in group 2. This duration is similar to the time duration of viability of VSGS described by Tubbs et al. One patient from group 2 still continues to be asymptomatic after 2.5 years with patent VSGS. Such patients with long duration of working VSGS has been described earlier in the literature.,,, Awaiting conversion to VPS, complications were seen in 44.4% in group 1 and 28.7% in group 2. The complications observed in both groups were local tissue breakdown and CSF leak. Complications were managed accordingly. CSF leak, pus discharge at local site and subgaleal swelling, and erythema were more common in group 1. On the contrary, four patients in group 2 who had already undergone VPS followed by malfunction and hydrocephalus; and later subjected to VSGS did not showed any major complication and did fairly well till their conversion to VPS. Though overall complication rate in group 2 was 14.2% but the infection rate was nil. On the other hand, group 1 patients had higher incidence of infections complications. This findings have been mirrored earlier in the study by Nagy et al. who found an infection rate of 8.33% with VSGS in post haemorrhagic hydrocephalus group and 20.0% in the post infectious hydrocephalus group. However, this difference was not found to be statistically significant (P = 0.23). The bone remodeling that we encountered in a patient with an overlying tense CSF pouch has been well described in the literature. This complication is self-limiting and disappears with normal skull expansion as the infant grows. Serious intracranial hemorrhage has been described in the literature following insertion of VSGS but this was not see in our series. Also, preterm children with noninfectious hydrocephalus who had undergone VPS from other institutions and presented to us with malfunction were operated during their early infancy. This may question the decision of performing VPS in the early neonatal period for noninfectious hydrocephalus. Out of the four patients who expired in group 1, three of them had undergone VSGS primarily without previous VPS. The retrospective nature of the study among the small cohort of patients failed to derive any specific conclusion in the rates of successful conversion between hydrocephalus of infectious and noninfectious etiology. Heterogeneous etiology in the noninfectious groups was also a limitation of the study. VSGS is a feasible temporary CSF diversion procedure in the management of hydrocephalus till the child optimizes itself for a permanent diversion procedure. The conversion rates into permanent VPS are more favorable in noninfectious hydrocephalus. Also treating a preterm with noninfectious hydrocephalus by VPS first may not prove a good option due to increased risk of VPS malfunction and higher chances of revision. Rahman S, Teo C, Morris W, Lao D, Boop FA. Ventriculosubgaleal shunt: a treatment option for progressive posthemorrhagic hydrocephalus. Childs Nerv Syst 1995;13:650-4. Tubbs RS, Smyth MD, Wellons JC 3rd, Blount JP, Grabb PA, Oakes WJ. Alternative uses for the subgaleal shunt in pediatric neurosurgery. Pediatr Neurosurg 2003;13:22-4. Cornips E, Van Calenbergh F, Plets C, Devlieger H, Casaer P. Use of external drainage for posthemorrhagic hydrocephalus in very low birth weight premature infants. Childs Nerv Syst 1997;13:369-74. Lam HP, Heilman CB. Ventricular access device versus ventriculosubgaleal shunt in post hemorrhagic hydrocephalus associated with prematurity. J Matern Fetal Neonatal Med 2009;13:1097-101. Wang JY, Amin AG, Jallo GI, Ahn ES. Ventricular reservoir versus ventriculosubgaleal shunt for posthemorrhagic hydrocephalus in preterm infants: infection risks and ventriculoperitoneal shunt rate. J Neurosurg Pediatr 2014;13:447-54. Fountain DM, Chari A, Allen D, James G. Comparison of the use of ventricular access devices and ventriculosubgaleal shunts in posthaemorrhagic hydrocephalus: systematic review and meta-analysis. Childs Nerv Syst 2016;13:259-67. Kreusser KL, Tarby TJ, Kovnar E, Taylor DA, Hill A, Volpe JJ. 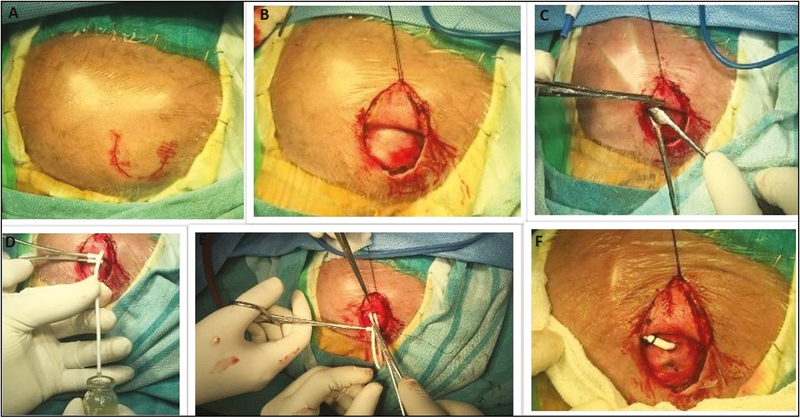 Serial lumbar punctures for at least temporary amelioration of neonatal posthemorrhagic hydrocephalus. Pediatrics 1985;13:719-24. Papile LA, Burstein J, Burstein R, Koffler H, Koops BL, Johnson JD. 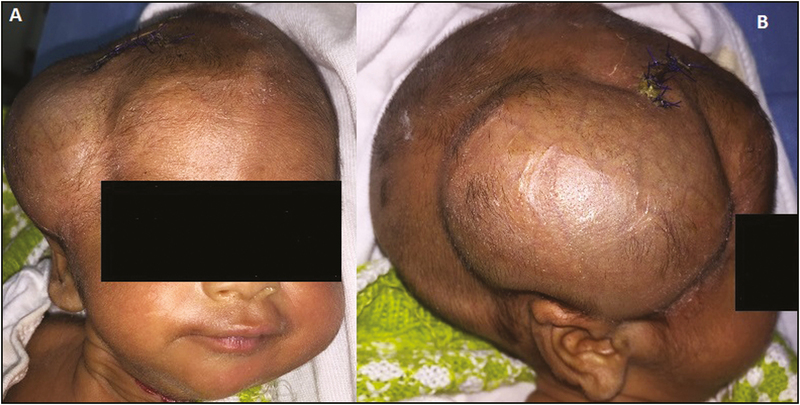 Posthemorrhagic hydrocephalus in low-birth-weight infants: treatment by serial lumbar punctures. J Pediatr 1980;13:273-7. Reinprecht A, Dietrich W, Berger A, Bavinzski G, Weninger M, Czech T. Posthemorrhagic hydrocephalus in preterm infants: long-term follow-up and shunt-related complications. Childs Nerv Syst 2001;13:663-9. Kazan S, Güra A, Uçar T, Korkmaz E, Ongun H, Akyuz M. Hydrocephalus after intraventricular hemorrhage in preterm and low-birth weight infants: analysis of associated risk factors for ventriculoperitoneal shunting. Surg Neurol 2005;13(suppl 2):S77-81; discussion S81. Horinek D, Cihar M, Tichy M. Current methods in the treatment of posthemorrhagic hydrocephalus in infants. Bratisl Lek Listy 2003;13:347-51. Taylor AG, Peter JC. Advantages of delayed VP shunting in post-haemorrhagic hydrocephalus seen in low-birth-weight infants. Childs Nerv Syst 2001;13:328-33. Petraglia AL, Moravan MJ, Dimopoulos VG, Silberstein HJ. Ventriculosubgaleal shunting–a strategy to reduce the incidence of shunt revisions and slit ventricles: an institutional experience and review of the literature. Pediatr Neurosurg 2011;13:99-107. Seeburg D, Ahn E, Huisman T. Secondary pediatric encephalocele after ventriculosubgaleal shunting for posthemorrhagic hydrocephalus. Neuropediatrics 2014;13:252-5. Fulkerson DH, Vachhrajani S, Bohnstedt BN, Patel NB, Patel AJ, Fox BD, et al. Analysis of the risk of shunt failure or infection related to cerebrospinal fluid cell count, protein level, and glucose levels in low-birth-weight premature infants with posthemorrhagic hydrocephalus. J Neurosurg Pediatr 2011;13:147-51. Brydon HL, Hayward R, Harkness W, Bayston R. Does the cerebrospinal fluid protein concentration increase the risk of shunt complications? Br J Neurosurg 1996;13:267-73. Brydon HL, Hayward R, Harkness W, Bayston R. Physical properties of cerebrospinal fluid of relevance to shunt function. 1: The effect of protein upon CSF viscosity. Br J Neurosurg 1995;13:639-44. Fulmer BB, Grabb PA, Oakes WJ, Mapstone TB. Neonatal ventriculosubgaleal shunts. Neurosurgery 2000;13:80-3; discussion 83-4. Hudgins RJ, Boydston WR, Gilreath CL. Treatment of posthemorrhagic hydrocephalus in the preterm infant with a ventricular access device. Pediatr Neurosurg 1998;13:309-13. Kadri H, Mawla AA, Kazah J. The incidence, timing, and predisposing factors of germinal matrix and intraventricular hemorrhage (GMH/IVH) in preterm neonates. Childs Nerv Syst 2006;13:1086-90. Aschoff A, Kremer P, Hashemi B, Kunze S. The scientific history of hydrocephalus and its treatment. Neurosurg Rev 1999;13:67-93; discussion 94-5. Kariyattil R, Mariswamappa K, Panikar D. Ventriculosubgaleal shunts in the management of infective hydrocephalus. Childs Nerv Syst 2008;13:1033-5. Steinbok P, Cochrane DD. Ventriculosubgaleal shunt in the management of recurrent ventriculoperitoneal shunt infection. Childs Nerv Syst 1994;13:536-9. Karas CS, Baig MN, Elton SW. Ventriculosubgaleal shunts at Columbus Children’s Hospital: neurosurgical implant placement in the neonatal intensive care unit. J Neurosurg 2007;13:220-3. Köksal V, Öktem S. Ventriculosubgaleal shunt procedure and its long-term outcomes in premature infants with post-hemorrhagic hydrocephalus. Childs Nerv Syst 2010;13: 1505-15. Wellons JC, Shannon CN, Kulkarni AV, Simon TD, Riva-Cambrin J, Whitehead WE, et al. ; Hydrocephalus Clinical Research Network. A multicenter retrospective comparison of conversion from temporary to permanent cerebrospinal fluid diversion in very low birth weight infants with posthemorrhagic hydrocephalus. J Neurosurg Pediatr 2009;13:50-5. Tubbs RS, Banks JT, Soleau S, Smyth MD, Wellons JC 3rd, Blount JP, et al. Complications of ventriculosubgaleal shunts in infants and children. Childs Nerv Syst 2005;13:48-51. Willis BK, Kumar CR, Wylen EL, Nanda A. Ventriculosubgaleal shunts for posthemorrhagic hydrocephalus in premature infants. Pediatr Neurosurg 2005;13:178-85. 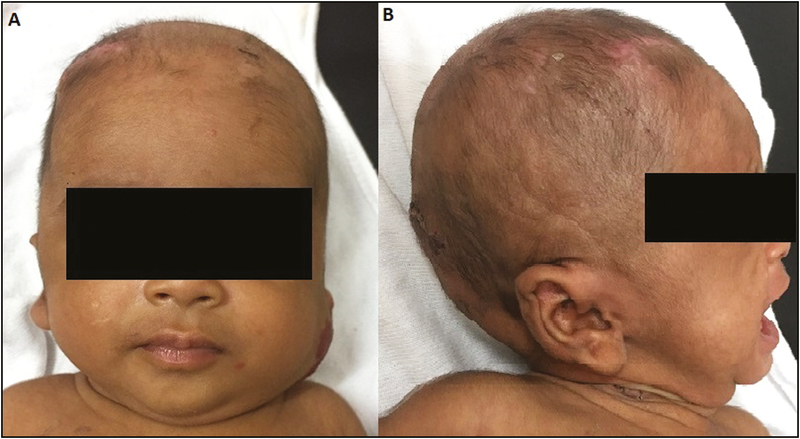 Nagy A, Bognar L, Pataki I, Barta Z, Novak L. Ventriculosubgaleal shunt in the treatment of posthemorrhagic and postinfectious hydrocephalus of premature infants. Childs Nerv Syst 2013;13:413-8.